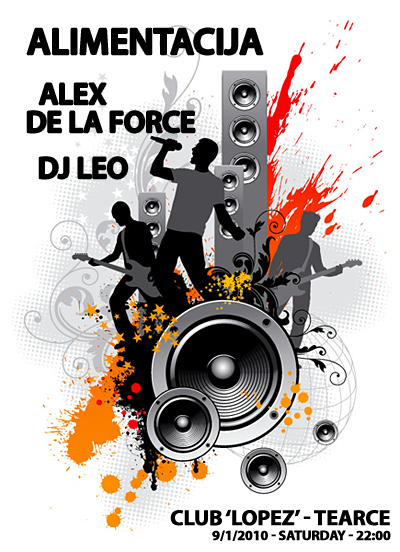 The music editors of Download.com Music had a review of the music of Alex De La Force. Download.com Music was successor of the famous MP3.com music website. The review was written around 2004-2005. This weekend I’ll be spinning my favorite fresh Funky & Progressive House Music tracks. The party will be hold @ Club “LOPEZ” in Tearce, MK (28/11/2009, Sat). 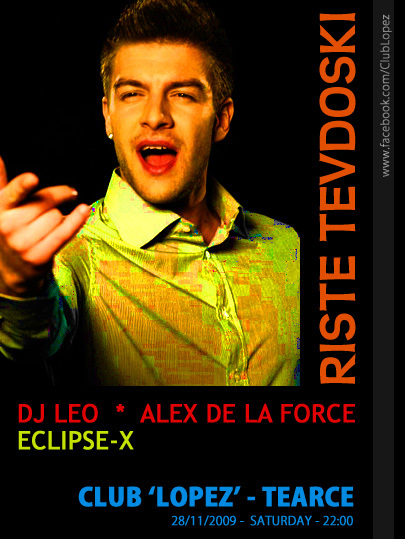 DJ Leo & Eclipse-X will also play electronic music, and the Macedonian pop music singer Riste Tevdoski (ex-Bravo Bend) will close the evening with the best Macedonian and world pop/rock songs.